Canton was located on the Western edge of Tannis or Government City, and it was the largest port on Kessel. Canton itself was a small city with a work force nearing ten thousand employees supporting hundreds of flights each day. Over a hundred terminals servicing a wide array of land and space crafts, supporting planetary to interplanetary travel. The Canton Port complex included an Orbital Port called Canton Orbital Port Station, frequently called COPS. From COPS one could purchase a flight on one of the massive interstellar vehicles called Tugs, ships capable of reaching faster than light speeds. Teric, Jason, Koreleon and Khewin were booked for passage on the Tug, Corbellis. However, first they had to board their shuttle, wait for their launch window, rendezvous with the Corbellis and then dock the shuttle into one of the Tugs bays. That was the plan. Walking through the terminal, however, was difficult, the large number of individuals, the frustration of the crowd all made a routine task arduous. Teric, leading the group, pushed and elbowed his way through the crowds, carrying bags of equipment and making enemies along the way. Their shuttle was at Dock 53, and they had just passed Dock 25, with more pushing and shoving ahead. Wilhelm still in his disguise, arrived at one of Canton’s administration desks. There was a long line of people waiting to speak with one of the ten attendants manning the desk. Wilhelm was nervous, hoping no one would recognize him. With so many people at the Port, his spirits fell, believing he may not be able to book passage on a shuttle with a docking grant on the Corbellis. If he revealed himself, he would no doubt be granted passage, he would be hurried to the front of the line, but, he would have to reveal himself, which would alert the guards. While he waited, he read and reread Anya’s letter, he could almost quote it word for word by now. Wilhelm read her words over and over again. When he felt unsure, he read them and he felt renewed in his determination. From time to time he felt a twinge of shame. If he was another man, he would pummel that for what he did to her. Then somehow, he could feel the pain and be refined. How could he have treated her so badly. What did it reveal about him? Was he, deep down, ashamed of her? He drove the thought out of his mind. He wanted to make it right. He hoped that when Anya saw the lengths to which he was going to make amends, to show her that he loved her, he hoped that she would forgive him. He was willing to do anything to make it right. He remembered her asking. Where would it lead? He played out a perfect scenario in his mind. He would find Anya, seeing him, she would run into his arms. People would notice, and, it would be news. He would ask her to be his wife, and he would bring her back. They would visit his father and inform him of their plans. If, it was unacceptable to the Governors and the Senate, then, he would abdicate. But was that a fantasy, he knew that there would be a tremendous amount of pressure from all sides upon them both. Could he handle it? Could she? Would they break under the pressure? Her father, his father, her people, his people. No one, would be happy with the decision they would make, a decision their love for each other would force them to make. Would they be happy? A commotion behind him, shook him out of his daydream, someone was yelling, but he could not make out the words, nor could he see who it was. The voice, however was becoming clearer as the owner of it was getting closer to where he was. Now he could hear the words and he was disgusted. The voice belonged to an old man, slovenly dressed in an old uniform, he had a cane which he was using to walk. Wilhelm recognized the man, actually he recognized the uniform he wore more than the man himself. He had never met the man personally or his ilk, but was aware of the group to which he belonged. They were a very extreme nationalistic group called, the Kode. While swearing allegiance to the Akadian nation and to the Odessa Ultraist, the Kode is committed to a struggle against those groups which it views as enemies of the Akadian people, mostly, foreigners, they see foreigners and their enablers and the main contributor to the downward spiral of the morality of the nation. 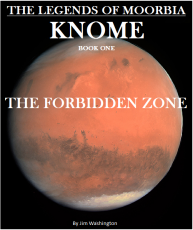 The main target of the Kode, were Knomens. Wilhelm could not believe it, Canton was full of Knomen's and this old man was denouncing them speaking out against them with the vilest of words. Wilhelm was incensed, how can he be allowed to spew his garbage, he thought. Then occasionally an Akadian Citizen would walk by and give the old man some sign of support which seem to enthuse him even more. “Get out, you contaminate, all of you! You Maggots, Maggots! Wilhelm had had enough and he left his place in the line and walked over to the man. “Why don't you just be quiet, Wilhelm insisted to the man. The old man who had been yelling out the whole day, had received no challenge, no counter arguments, not even a protest from any other person in the port. All of the Knomens, just walked by, ignoring him, as if he wasn't even present. However, when Wilhelm began to challenge the man, he seemed to perk up, it was just, what he wanted. He turned his attention to Wilhelm. “You’re an Akadian, are you a maggot lover? Do you eat them for breakfast, do you sleep with them, you must love maggots, why else are you defending them, the man screamed. “If you don't cease this offensive activity, I will see to it that you are arrested and incarcerated for a very long time,” Wilhelm threatened. The old man was not phased, he rose to Wilhelm’s challenge. Wilhelm just wanted to shut him up as he noticed a small crowd forming. Wilhelm placed his hands upon the man, grabbing his garments and shaking him. The old man lifted his cane to defend himself, and, taking a swing at Wilhelm, missing him the man lost his balance and fell to the floor. He began to scream wildly for security. “Help! I've been assaulted, this man assaulted me,” he screamed as he lay on the floor. He then took his cane and jammed it hard between Wilhelm's legs. Wilhelm screamed and doubled over. Wilhelm in pain froze as people in the port began to step clear of the area as security guards came running. Ignoring his pain, Wilhelm immediately took off. At first, he began to walk quickly as best as he could amongst the crowd, and then he began to run. As the security guards arrived at the scene of the incident, they helped the old man up to his feet. "He assaulted me, arrest him,” the man said pointing in the direction in which Wilhelm ran. Two security guards began to pursue Wilhelm, running in the direction in which the old man pointed. Now running as fast as he could, bumping into people he glanced into each of the docking bays he passed, searching for a place he could hide. He finally came up to a docking bay which seemed unoccupied. He dashed into the bay and ran behind the shuttle doubled over begging for relief. He waited there for some time, but saw no one chasing after him. As he started to leave the area, he saw the Guards. He went back into the bay, approaching the shuttle he found that the door was open, so he ran into the shuttle and onto the bridge, looking for someplace to hide. Not finding anything on the bridge he walked through the shuttle and into the medic area where he found a closet. He opened the door and hid himself there, shutting the door. The Security guards gave up, and turned back, casually searching areas they thought he might have gone. Teric, Jason, Koreleon and Khewin, arrived by transport that they obtained at Docking Bay 53. They began unloading luggage and equipment from the transport into the bay. A couple of men riding on the transport got off and began to help them load the cargo on to the shuttle. The control lights in the bay turned green, as an alert bell began to ring. Jason, looked at Teric, Hey, we're on the clock, we can't miss our launch window. We'll take care of the cargo, you prep the engines. Teric dropped the bags he was carrying and ran into the shuttle. On the bridge, Teric sat in the pilot chair and began prelaunch operation. Wilhelm, hearing movement in the shuttle, debated on whether to leave or stay put. He tried to crack the door just enough to observe what was happening, but he saw no one. Jason arrived on the bridge after all the cargo was loaded and locked down. He took the co-pilot's chair and began to assist Teric with the prep work. Korleon and Atlus arrived and took their seats on the bridge. Lights in the bay began to flash along with a blaring horn as the Bay's port door began to close. The shuttle's engines began to roar. Wilhelm felt the hum of the engines and immediately came out of the closet. He tried to leave the medic room but it was locked. The overhead door in the bay opened as a new siren began to sound, signaling their launch window. The shuttles communications signal light flashed on the shuttle’s control console, Teric clicked the button. “This is Control Section 12, please call,” came a voice over the communication line. “Shuttle Volton Alpha Delta Alpha 2 3 4 2 3, bay 53, requesting launch, Teric responded. “Please align vector coordinates with prefight request,” the voice answered. Teric in response entered a series of numbers and waited. “Vector coordinates coded and transferred,” came the voice from control. “Your window is Go,” please acknowledge. “Window acknowledged, Launching,” Teric replied as he engaged the launch engines and the shuttle began to ascend and clear the bay door. The shuttle seemed to hover above the bay as the engines began to increase in power. Wilhelm could feel the engines building. He quickly went back to the closet and closed the door. 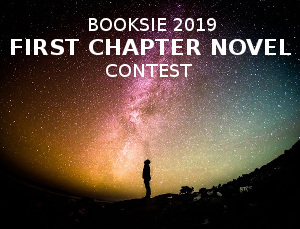 Teric responded, “E V is in 5, 4...” Teric tapped a button and the Shuttle burst into the air, the gravitational force pulled all occupants into their seats as the shuttle ascended higher and faster into the sky. Wilhelm braced himself as best he could which was woefully inadequate, he was forced hard onto the wall and to the floor. As the shuttle ascended, it began to shake violently, which caused Jason to look with concerned at the others. Just as he thought that the shuttle could not take anymore, the shuttle escaped the planet's orbit, and the shaking ceased. Teric tapped a few buttons as the engines power decreased. Wilhelm was relieved, but in pain. He lay on the closet floor clutching his shoulder. Teric, engaged the auto guidance systems and relaxed. “That was unexpected,” Teric commented. “This shuttle is a piece of junk,” Khewin chimed in. “I admit I was a little concerned,” Koreleon confessed in his perfect diction. Just then the communication light began to flash, Teric put back on his head set and pushed the button. This is orbital control, section 7, please call, came the voice over the communication line. “Shuttle Volton Alpha Delta Alpha 2 3 4 2 3, requesting Corbellis docking, Teric responded. The Corbellis was now visible to the crew on the shuttle and they were amazed. These ships were massive, capable of housing several hundred small to medium class vessels in its various bays as well as a thousand people in various classes of rooms. The area around the Corbellis was littered with ships waiting to dock. Again, the communication light began to flash, Teric put on his head set and pushed the button to open the channel. “Corbellis control, please switch your Comm channel to 15154.1, “came a voice not as refined as those employed by Canton. Teric made the changed as the line dropped and then came up again. There was a pause in the communication. Jasen took off his harness left and brought back some refreshments for everyone. “Docking Control, welcome Shuttle Volton Alpha Delta Alpha 2 3 4 2 3. Your docking grant has been accepted. Do you require a tractor beam or will this be self-dock”? Teric read the code and applied them, “Acknowledged,” he replied. Teric, entered the course correction and reengaged the AGS. The shuttle adjusted and made its approach towards the Corbellis. The Corbellis was not an entity of the Akadian Government or any government for that matter, Tugs were a purely commercial venture, they provided docking space for smaller ships that did not possess the resources needed for sub-light and FTL travel. But its days were numbered. The shuttle found its docking assignment and made its approach to the bay. Teric and the others watched and waited patiently as the automatic guidance system began the docking process. Wilhelm left the closet and finding a small window in the medic room he was able to see that the shuttle was docking with Corbellis. Wilhelm could not believe his good fortune. He stowed away, purely by accident on a shuttle that was docking with the Corbellis, it felt like a sign. It was just where he wanted to be. As the shuttle docked, Jasen, Kore and Khewin released their harnesses and began to rise out of their seats. Teric remained seated as he continued to get instructions from from control. He began shutting down ship systems to prepare for the hibernation. Jason Kore and Khewin walked through the ship to make sure all was secure. Wilhelm heard the door of the closet move and he pushed himself into the corner and even held his breath. The shuttle door opened as a Corbellis Minister entered the ship to verify that everything was set for hibernation. He discussed procedures with Teric and handed him various documents regarding their rooms. Wilhelm stayed in the closet a few minutes after he heard the shuttle doors close, he wanted to be sure that no one was in the shuttle. He slowly opened the door and came out of the closet.All the lights were off and it was starting to get cold. He began to use the wall to guide himself through the shuttle. Soon he was on the bridge, he sat down at the copilot’s chair but it was so dark he couldn’t see any of the controls on the console. A light from outside the shuttle was shining in but it was very dim and he still could hardly see. He knew that he had to get the life-support systems back online or he would run out of air. After flipping us few switches which turned on some lights he could see some of the system consoles, he found the life-support system and flipped it on there was a low hum in the shuttle as the system booted. Teric, Jasen, Khewin and Kore followed one of the Corbellis’ many reception host. He was leading them, talking and directing them to the various places that they could go, dining rooms, various restaurants, activity rooms while they waited for the tug to depart. They stopped at one of the Corbellis’ many reception rooms to get something to eat. However, they were stopped by several Knomen soldiers, from entering the reception room. Exiting the reception room was the Princess Anya Yemen and her entourage. After they had passed, the guards left allowing everyone to enter. Khewin continued to stare long after group left the dining room. “She’s the most beautiful woman I have ever seen,” he mumbled. “Khewin,” Jasen called, “Let’s go.” They entered the room sat down and ordered drinks and a few meals. Wilhelm was aware of the dangers of sub-light and light speed travel on the human frame. The Tugs had special rooms in which were provided to the guests, suspended animation chambers, or SACs, these chambers especially designed to prevent wild movement of the body while suspended. Wilhelm would not have the opportunity to use a SAC, since he could not get out of the shuttle, he knew he was in real danger of various types of warp sickness. He began searching the ship for spot or place in which he could secure himself. Not finding a spot he decided to tie himself down onto the pilot’s seat. He also remembered that there were some drugs in the medic room and he thought that he could find some drugs that would induce unconsciousness. Still he wasn’t sure what would happen. He began making preparations. Wilhelm’s initiation of some of the shuttle’s critical systems did not go unnoticed. A warning light began to flash on the command console in one of the Corbellis’s control rooms. Immediately the ship was identified and the information relayed to Host in charge of the section in which the registered user was assigned. A small tag is attached to the passport of every passenger of the Corbellis which emits a digital signature enabling the tracking of every guest by the Corbellis’s Security team. The Section Host and a detachment of security guards were able to quickly locate Jasen and his comrades enjoying a meal in one of the dining halls. Jasen rose to his feet as he saw the group heading directly towards their table. He was concerned because the friendly Host whom he met not long ago, no longer looked so friendly and he had a couple of armed guards flanking him. The group arrested the attention of most of the guest in the dining hall as they men arrived at Jasen’s table. Jasen held out his hand trying to recall the man’s name, his gestured was ignored. “You’ll have to come with us,” Uggia demanded, ignoring Teric’s outburst. “To your ship,” Uggia replied as he nodded to his guards who gestured for everyone to stand. As they did, Uggia led the way, with Jasen, Teric, Koreleon and Khewin following. The armed guards had taken a position at the rear of the group. Wilhelm was asleep in the co-pilot’s chair with some of the material that he had scavenged from the ship to use in his makeshift restraining idea. He was startled awake by the sound of boots and metal. He arose quickly from the chair and started to run, only to come back to gather his materials and head for the medic room. He reached the closet just as the shuttle door opened. Uggia, entered first and began to walk towards the bridge. A noise of confirmation could be heard as the others arrived on the bridge. “So, you personally powered down your systems, then how do you explain this, Uggia demanded clearly upset. Now unsure of himself, Teric walked over to the control console. “What?” he asked surprised. “I did power down,” he added with less conviction than before. Teric started to reply, but Jasen cut him off, “No your right, we’re apologize.” Turning to Teric Jasen called on him to shut down the systems. “Observe,” Teric demanded as he looked straight at the little man. He walked over to the co-pilots chair, picking up a piece of cloth off the chair before he sat down. Puzzled for a quick second he dropped the cloth on the floor. He began flicking switches and pressing buttons as the hum of the shuttle decrease as the systems he disabled began to shut down. Finally, it was done. “Would you like to verify?” Teric asked. “I have,” Uggia replied after looking at a small monitor that he carried. He turned away facing his guards, giving them a signal and they began to depart. All followed off the bridge and then out of the shuttle. Blaze was awakened by one of the guards that had apprehended him. He had been allowed to sit and he fell asleep exhausted from the stress of the day. He was made to stand as the door at the far end of the room opened, and King Wilhelm entered. This time he had someone accompanying him. Blaze strained to see the new comer and soon recognized his father. “Son!” Senator Roddy Marcoon called as he quickly went to his son. The Senator was as tall and as old as the King and both had second sons from second wives later in life, it was something they had in common, they were brought together by their wives who were acquainted. Senator Marcoon and his son embraced. “Are you alright?” the senator asked his son. The Senator examined the bruise on his son’s face and turned to look at the King as if to ask for an explanation. “Roddy, I am afraid, your son received some abuse, I am sorry for that.” King Wilhelm replied. Roddy did not answer as he again examined his son’s bruise. He turned again towards Wilhelm unsatisfied. The King sensed Roddy’s disposition and added, “I will see that those responsible are disciplined. “Is he free to go,” the senator asked. “Well, Senator, laws have been broken.” Rigor Lumas spoke up. “Well, we can forget that for now, can’t we Rigor,” Wilhelm offered. Senator Roddy, with an uneasy feeling looked at the two men who were approaching him. He began to feel that the King’s kind gesture, was going to cost him something. Senator Roddy was the leader of a faction of undecided Senators in a prolong debate. After a series of pivotal setbacks, an already unpopular Monarch, King Wilhelm, was threatened with a resolution of No Confidence. An adopted resolution by three fourths of the senate would invoke a Royal Review by the Council of Governors, which could mean the end of the rule of the House of Antilla. Over the years, the opposition have been steadily gaining senators to their side and but for the Undecideds of whom Senator Roddy is the de facto leader, the opposition would have the numbers to introduce the resolution and succeed in the vote. Roddy had been in Wilhelm’s camp until the incident involving his son. Wilhelm and Roddy have never spoken directly since, until this day. “It is our lot, I’m afraid,” Wilhelm added with a slight smile. “Can I take my son out of here?” Roddy asked, not wanting his son to have to witness the undignified conversation that was about to take place. After receiving a nod from the King, Rigor walked over to one of his guards. “Go with him, I won’t be long,” Roddy replied. The guard stood next to Blaze and followed him as he went towards the door. Roddy watched his son as the door open and then turned toward the King. “Was this a setup?” Roddy asked as Blaze closed the door. The Man I Wanted To Know.